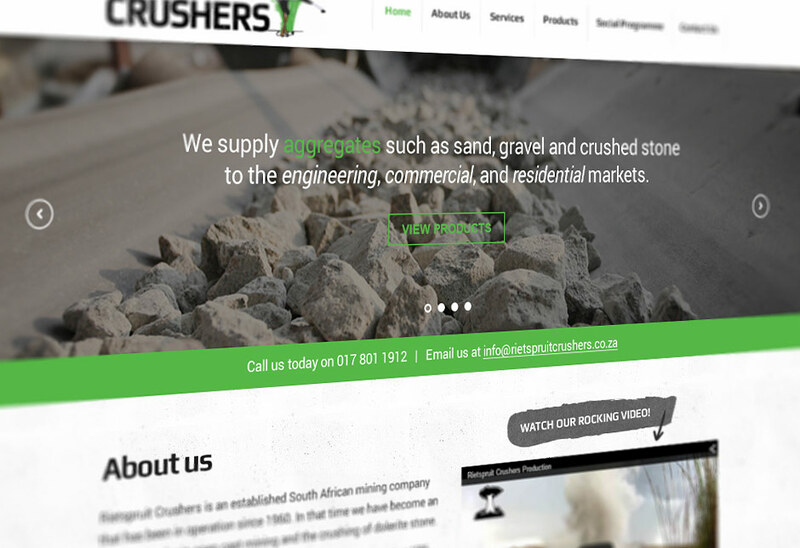 In September 2014 I developed and launched a new WordPress based Mining Web Design for Rietspruit Crushers, a South African Mine Producing aggregate for the construction and railway industry since 1960. 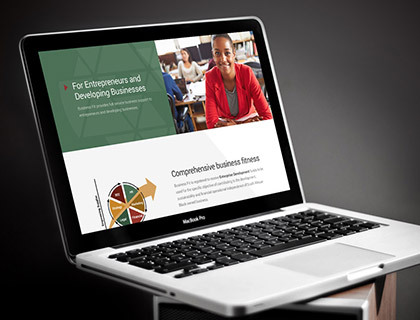 The key goals of the website were to showcase the business, it’s products and the geographic area it services. A secondary goal was to provide a facility for users to order products via the website via a web form. 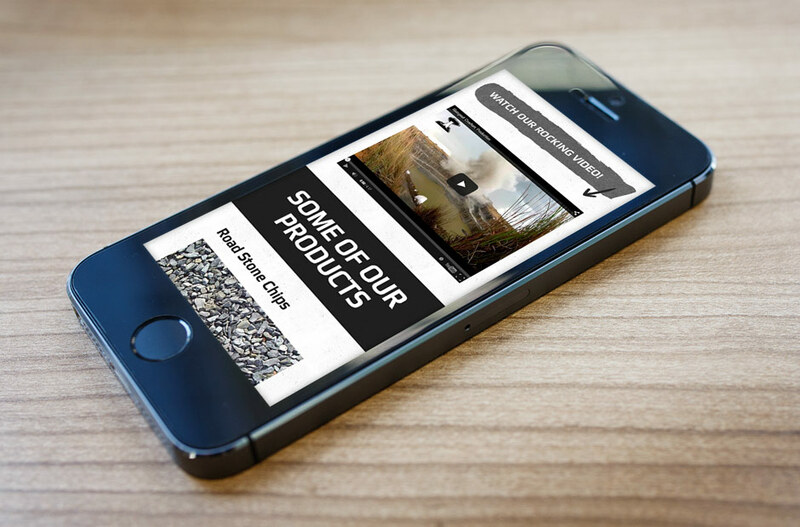 Responsive / Mobile Friendly: The website is optimised for Smartphones and tablets as many of Rietspruits’ clientele only access the internet while they are working on-site and only have internet access on their smartphones. 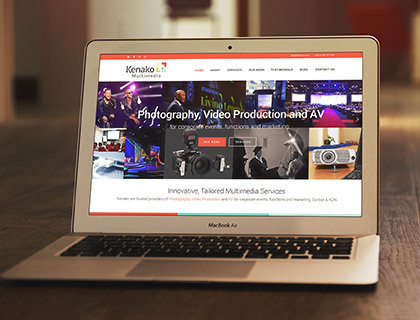 Easy to use CMS: The company staff are not very tech savvy so the website needs to be very easy to edit and manage from the back-end: Hence, this website was built on WordPress; the world’s most popular CMS. It’s super easy to use and perfect for websites with a blog or a website that requires constant edits and improvements. Product order functionality: The website includes a page which showcases the available products and includes an order form which clients can use to easily place orders. Placed orders are sent through to the sales team via email. 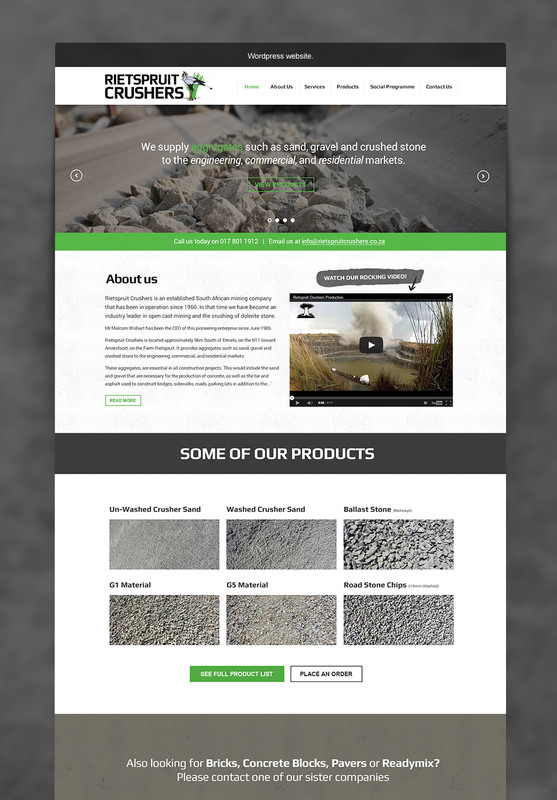 Design Elements: The design of this website includes subtle grunge backgrounds, a bold Google font (Play) which is very structured and looks like the front of a truck. The colour palette used is a mixture of stony grays and browns with the main accent colour of green. Rietspruit Crushers is an established South African mining company operatining since 1960. In that time they have become an industry leader in open cast mining and the crushing of dolerite stone providing aggregates such as sand, gravel and crushed stone to the engineering, commercial, and residential markets. 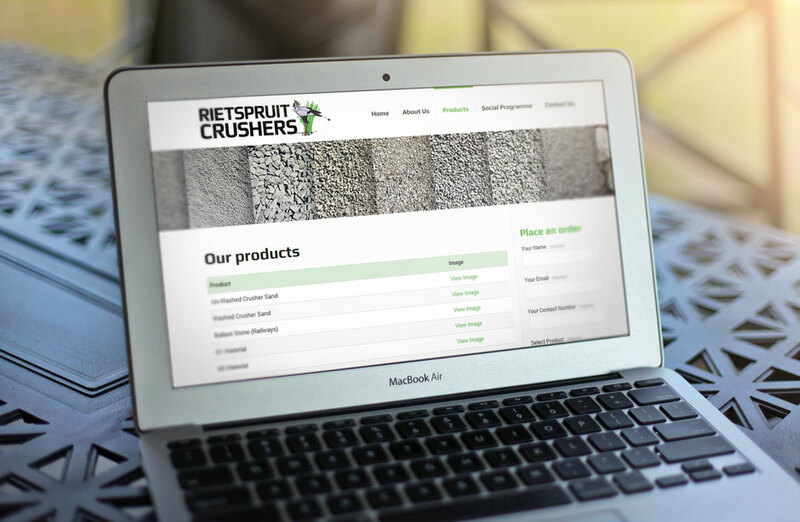 Rietspruit Crushers is located in Mpumalanga, approximately 9km South of Ermelo.